This is beautiful. Love unicorns and the way you captured the mother/child relationship. I painted this to celebrate Mother's Day. 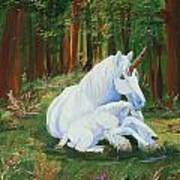 A baby unicorn is sleeping in his mother's lap in the forest. 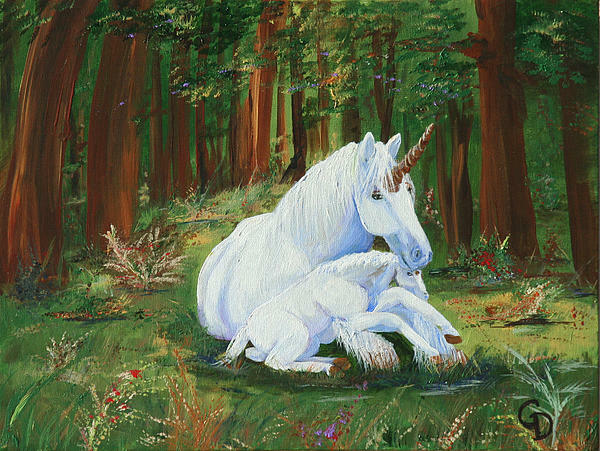 Most unicorns are shown with virgins, but I wanted to show a mother's love for her children. There are so many legends about unicorns, most of them seem unrealistic to me. 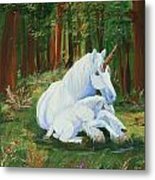 I always imagined that unicorns had family, so in defiance of the "so called virgin legend" I painted a mother and her foal. 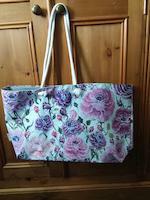 IGail Daley is a self-taught artist and writer with a background in business. An omnivorous reader, she was inspired by her son, also a writer to finish some of the novels she had begun over the years and not finished. 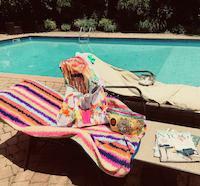 She is heavily involved in local art groups and fills her time reading, writing, painting in acrylics, and spending time with her husband of 40 plus years. At the present time, her family is owned by two cats. In the past, they gave houseroom to many dogs, cats and a Guinea Pig, all of whom have passed over the rainbow bridge.